I usually write about nutrition or workouts or something related to health. Sometimes I get inspired by things and my writing changes course. This is one of those articles and I hope it inspires you as well. If you’ve read my blog before, you probably know I like listening to podcasts. Yesterday I was listening to a Tim Ferris’s podcast. If you don’t know who Tim Ferris is, he’s the author of bestselling books such as The 4 hour work week and the 4 hour body. Tim often talks about many of his favorite authors and frequently mentions Seneca (aka Lucius Annaeus Seneca, aka Seneca the Younger.) Seneca was a Roman philosopher that was a Stoic. In the podcast I was listening to yesterday, Tim was talking about how Seneca’s philosophy was similar to the Serenity Prayer. I’d heard the Serenity prayer before, probably in a movie or something. I know they use it with Alcoholics Anonymous and other addiction programs, but I never really thought about what was actually being said before. Maybe it was because Tim Ferris was talking about it, maybe it was just the right timing, but when I heard it this time I really loved the message. I wanted to write about this as well as other quotes that inspire me, not just with working out and eating right but also with life in general. Instead of doing one of those long list of quotes, I decided to pick a few that I recently came across and give my thought on each. So if you are ready to be inspired… keep reading. I realize that everyone reading this may not be religious, but no matter what you believe in, the point Niebuhr is making is a good one. There are certain things in your control and certain things out of your control. Many people, especially myself, worry about things out of their control. It’s really a waste of time and energy to focus on these things since you can put your energy in a place where it will actually do some good. This applies to life as well as getting in shape and looking good. There are things out of your control like your genetics. Your are born to be a certain height, with a certain bone structure and a propensity to lose or gain weight. These are things out of your control. You can control things like your nutrition, your workout and the thoughts in your head. Many people get distracted and worry about things they can’t do anything about. Spend time working on things in your control and you’ll be more productive and happier. I really love what this quote says about life and how we, as well as the world around us is constantly changing. Every day we learn new things, some are big and some are small. Hopefully these things we learn along with the actions we take propel us in a positive direction and we become better each day. Not only does this relate to larger area in life but also small things like eating right and being consistent with exercises and stretching. This quote is similar to the one from Heraclitus and I think it perfectly describes what people go through when they accomplish something. This is a great analogy for someone who transforms their body into the one they want. This is a good mindset for people who are starting out. Some people can start doing everything that they need to right away and that is great. Others will want to ease their way in. 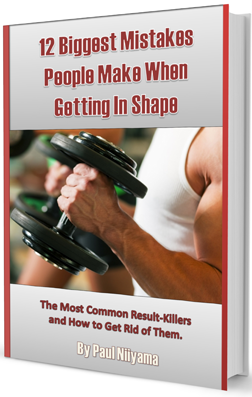 If you are in the later group, then you can start making small necessary changes like cutting sugar and alcohol, then working your way into the gym. I don’t like working out with machines but they can be good for beginner since your chance of injury is less. Once you make these little changes it won’t be as daunting to start to work up to a complete workout and nutrition program. This quote is similar to the last and reminds me of another. You should be looking for progress not perfection. Some people get frustrated when aren’t as mobile or as strong as they think they should be. This can be discouraging and cause some people to stop working out and eating right. You need to remember as long as you are going in the right direction, you are getting closer to where you want to be. Sometimes it seems like that inching forward isn’t getting you anywhere but over time those little bits of progress add up, so being consistent is key. What makes this quote special is not only the content but also who said it. This wasn’t some poor person saying this, it was from a person that pretty much ruled his known world. It reminds me of the saying, perception is reality. If you think something is good… it is. If you think the same thing is bad… it is. Many people suffer from body dismorphia. they view themselves differently than the way other people view them. I believe everyone should have goals and strive to be better, but this doesn’t mean that you can’t also be happy with your current circumstances. I hope these quotes motivated you like they motivated me. I might end up making this a monthly article featuring new quotes. If you have quotes you like, whether it relates to fitness or not, I’d love to hear them. You can leave them in the comment section. You can also reach me on my Facebookor Twitter accounts. Getting in Shape With Stretching Inspire Me: A Positive Mind Goes a Long Way New Year’s Resolution Tips for 2016 Because they are Hard: How JFK can inspire your workout.